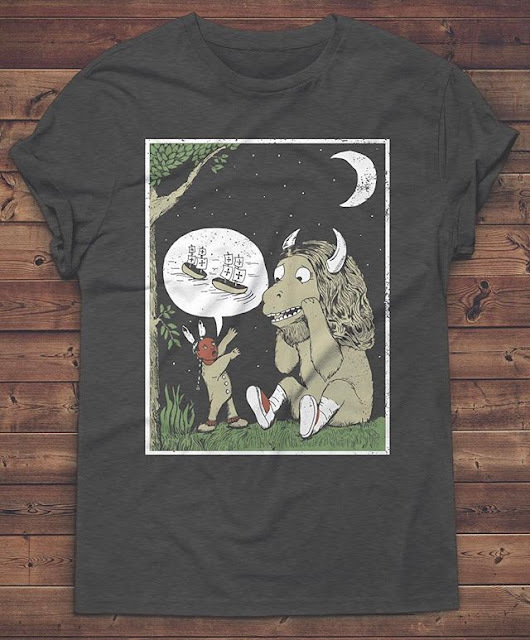 People in children's literature are familiar with Where the Wild Things Are, by Maurice Sendak. I read it to kids many times. I'll never read it the same way again, though, thanks to Steven Paul Judd's imagining of Max as a Native kid! The t-shirt is available today at 11:00 Central Time (6/24/17) in limited quantities from The NTVS. Oh! I learned about the shirt this morning, from Rebecca Roanhorse. She's got a book in the works! Its title is Trail of Lightning. It'll be out in 2018 from Simon & Schuster's Saga imprint. Debbie--have you seen BLOWBACK '07 by Brian Meehl? Published in 2016 by Mill City Press, I'm wary of Meehl's book--not because of the publisher, but because of the content. Any stories that delve into the boarding schools Native children were forced to go to must be done with extraordinary care and research, lest they come out like Ann Rinaldi's disastrous My Heart Is On the Ground. Why, I wonder, did Meehl select Carlisle as the place his character would go? When I get a copy, I'll be back with a review.